There is a long history to cover songs. And the many reasons why bands and artists record and release them. They are done for tribute records, charity, an album B-Side recording, and performed live. Sadly, sometimes it is just an industry driven cash grab. Cover songs are so prevalent these days that sometime in the recent past Cover and Tribute bands began to grow in popularity. Cover songs tend to have a very mixed reception. Over the last few months, I have heard the Five Finger Death Punch cover of The Offspring’s ‘Gone Away’ many times. This cover song was released on their Decade of Destruction greatest hits record and also included on their newest album ‘And Justice for None’. 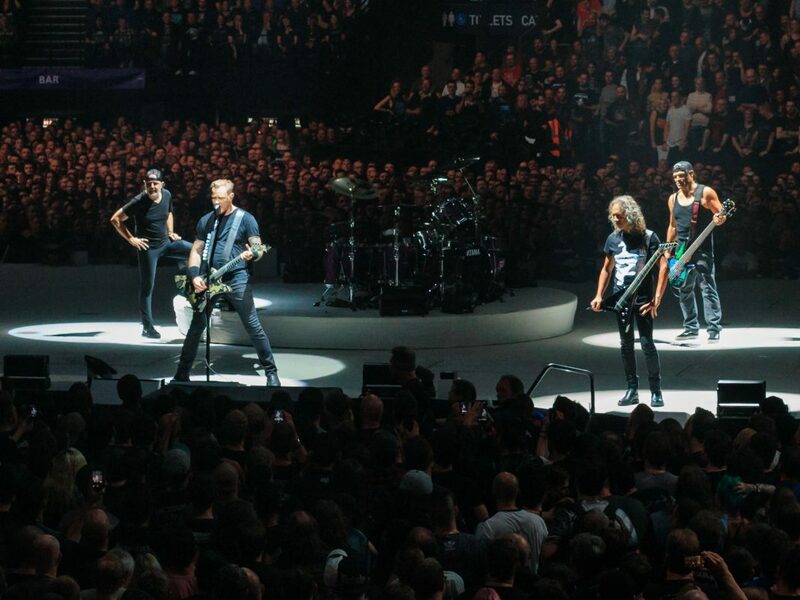 The reviews for both Destruction and Justice have been mixed, with some even using names like ‘Five Finger Corporate Metal Punch’. However, there has been a lot of focus on their version of ‘Gone Away’. 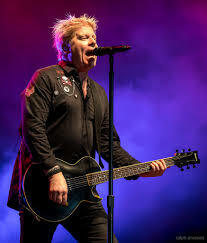 According to songfacts.com, Offspring singer Dexter Holland wrote this song as an emotional response after his girlfriend was killed in a vehicle accident. FFDP slowed the tempo of the original song and made a video that focused on what it is like to lose friends in combat and the toll it takes on you. 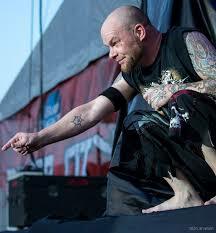 A number of fans of the song are mad because of the change in tempo, which is why they say FFDP ruined the song. Some are mad that Dexter and his Offspring bandmates did not receive credit for the song. Some even went so far as to say that having the video focus on the war and loss of soldiers was just cashing in on patriotism. I have been a fan of both bands for many years and thought the original Offspring version was a great song, even many years before the lyrics of the song began to mean something to me and my family personally. And as a retired soldier, the FFDP version and video hit me hard every time. What is it about cover songs that can bring out so much love or hate? FFDP have done a bunch of covers in their career. Many, like “Bad Company” and “House of the Rising Sun”, were great. Some, like “Mama Said Knock You Out”, were not so good. I personally do not understand why the keyboard/social justice warriors can hate on FFDP’s “Gone Away”, but yet heap so much praise on the Disturbed version of “Sound of Silence”, which is basically an impressive version of a song that really wasn’t that impressive to begin with. Some cover songs have a little weight to them. Take for example Cry to the Blind, a band that is local to the Geneva, NY area, that I can honestly say put on a great show. When I saw them live in late 2011, they had already been playing together for many years. But it wasn’t until they did a cover of Miley Cyrus’ “Wrecking Ball” that they started to get some national attention. Cry to the Blind managed to successfully polish a turd and it paid off, which can be proof of the power of a cover song. There are also covers songs with some personal meaning, such as Bad Wolves’ cover of the Cranberries 1994 song “Zombie”. Tommy Vext, singer for Bad Wolves was a Cranberries fan when he was younger and got the idea to do a cover of the song when he had heard it again in a coffee shop. Through a personal connection, their version of the song made its way to Cranberries singer, Dolores O’Riordan, and she liked it so much that she was set to sing on the track. This sadly did not happen due to the tragic passing of O’Riordan. Out of respect for her passing, the band was going to shelf the song, as they say. Thanks to a mutual agreement, they released the song with all proceeds going to the O’Riordan family. The next time you hear a cover song do not be so quick to have the keyboard warrior powers activate. Give it a chance and you might like it. A lot of these bands really do put a lot of work into these cover songs. Once you give it an honest listen and still don’t like it that is your choice and opinion. But like it or hate it because you chose to, don’t just follow the crowd.